Easter is probably my FAVORITE holiday after Christmas. My kids are already talking about what they want the Easter Bunny to bring them! 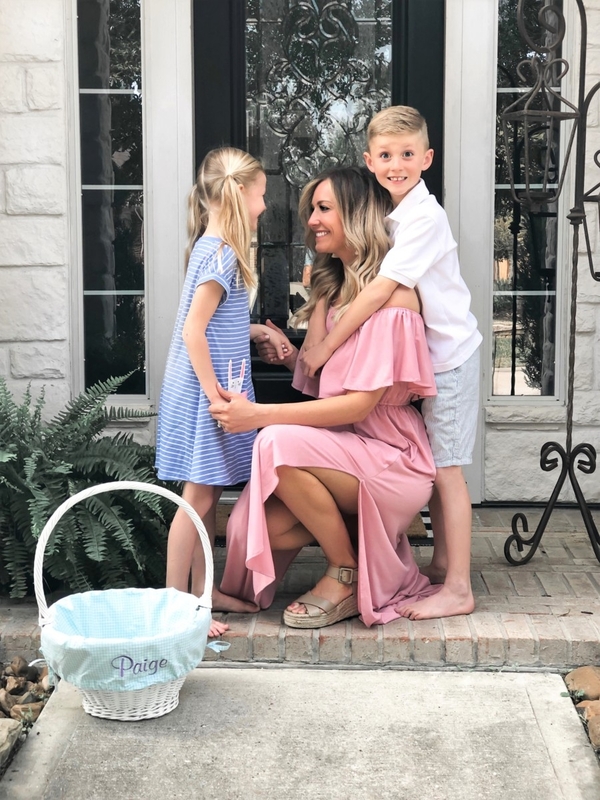 This year I wanted to move away from the piles of candy and fill their Easter baskets with practical items such as goggles, flip flops and bath bombs. Below is a list of over 50 fun and practical ideas for non-candy Easter baskets that do not involve candy! My dress and Pierce Shorts are from Amazon and uber affordable. My dress runs true to size and comes in multiple colors. The best part is the POCKETS!!! 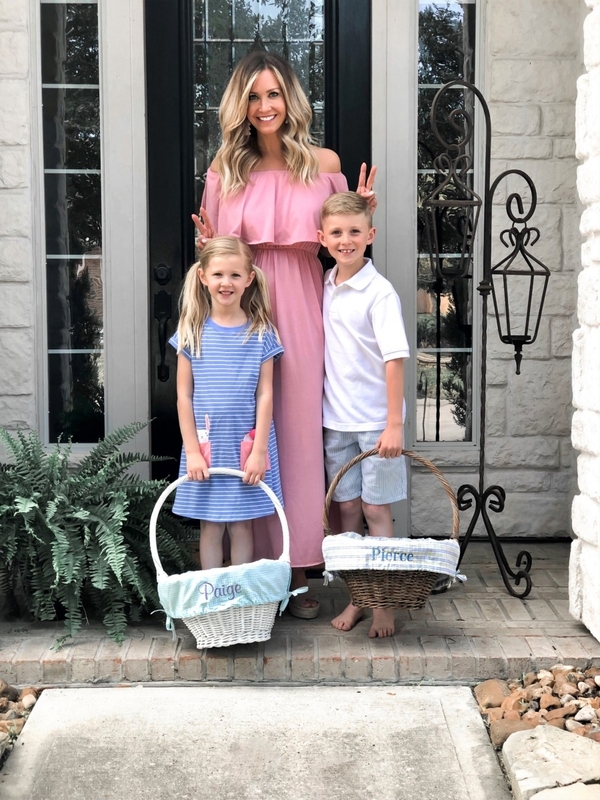 If you are looking for Easter outfits for the kiddos, I found this precious children’s clothing line that resembles Janie and Jack for a fraction of the price. I saved some of my favorite pieces to my Amazon storefront for easy reference. My Shoes are a MUST HAVE. I bought them in light pink two years ago and wore them almost daily. I wanted something a bit more neutral so I grabbed the same pair in a more neutral color. I did size down 1/2 a size. Paige’s Paige Dress is under $15. She loves how soft the dress is and the little bunny tail poking out of the pocket! Click on any item below for easy shopping! Loving this feature on Non-Candy Easter Baskets? Take a look here for more of my Family favorites!! !